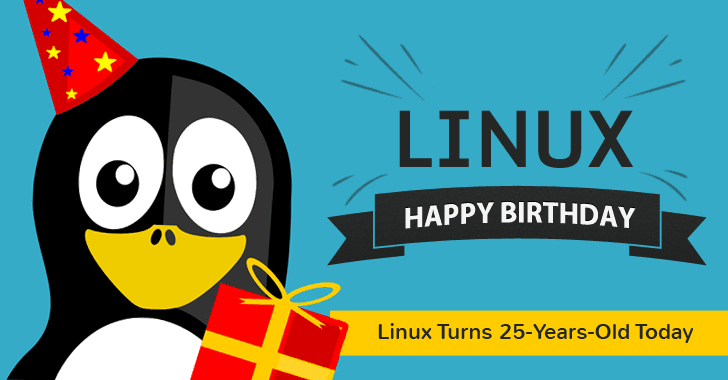 Dear all, today is August 25, 2016, and it is time for the celebration, as it’s the 25th Anniversary of the Linux project, announced by its creator, Finnish programmer Linus Torvalds, on August 25, 1991. Since its birth, Linux has become the largest shared technology on the planet and has changed the world in more ways than one can imagine. While not initially designed to be portable, Linux is one of the most widely ported operating system kernels, which runs on a vast range of systems from computers to smartwatches and gas pumps, and runs most of the websites you visit, becoming both "big" and "professional." If you don’t see it, that doesn’t mean you don’t use it. Linux is everywhere! When you search on Google, you use Linux; when you buy metro tickets, you use Linux, your Wi-Fi router is powered by Linux, your smart devices and your Android phone and tablet are powered by Linux. Entire Internet Is Powered By Linux! Thanks to Linux that has popularized a revolution called open source, which is fast becoming a standard in the enterprise and consumer segments. Linux is a version of the Unix operating system developed by Ken Thompson and Dennis Ritchie in 1969. According to Wikipedia, the list of Linux distributions has a number of different categories based on the major distributions. Many fall under well known and major Linux families, including Debian, Fedora, Ubuntu, Red Hat, OpenSUSE, Arch Linux and Slackware, while others are in smaller clusters. The Linux Foundation has also published a detailed report on the past 25 years of Linux, saying that around 13,500 developers from 1,300 companies have contributed to the Linux kernel since the entire project gone live on Git in 2005. "Even after 25 years, Linux still serves as an example of how collaborative development can work, which can be applied to other open source projects," said The Linux Foundation Executive Director Jim Zemlin. "This report provides insight into the development trends and methodologies used by thousands of different individuals collectively to create some of the most important software code on the planet." Since the last report, the Top 10 organizations sponsoring Linux kernel development include Intel, Red Hat, Linaro, Samsung, SUSE, IBM, Renesas, Google, AMD, Texas Instruments, and ARM. You can download the full 2016 report "Linux Kernel Development – How Fast It is Going, Who is Doing It, What They are Doing, and Who is Sponsoring It," released by The Linux Foundation on Monday. Linux users who are curious to know the history of the OS can read the book, Rebel Code: Inside Linux and the Open Source Revolution, published by Glyn Moody in 2001. The book has a more detailed explanation of how Linux came into being, as told in Linus’ own words. The Hacker News team wishes a very very Happy Birthday to Linux!